I went to Menara Maybank, Kuala Lumpur to cancel my Maybank credit card today. The main reason why I cancel the card is because want to avoid paying the RM50 Service Tax and the annual fee. It wise to redeem your credit card points before canceling any. I managed to redeem some Carrefour cash voucher. 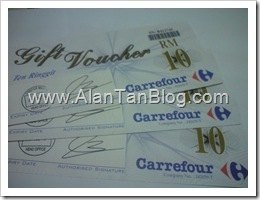 I didn’t notice the Carrefour cash voucher is expiring on 23 July 2011. In my opinion, all cash voucher must have minimum at least six month to one year validity period before expiry. To my surprise, the officer didn’t even have a word after I requested to cancel the credit card. He just ask me to fill up a cancellation form. Immediately I submit the form, he use a scissor to cut my credit card into half. That all! I guest the customer retention is not done by them. He also never ask the reason why I want to cancel. Probably so many people have do the card cancellation before this. 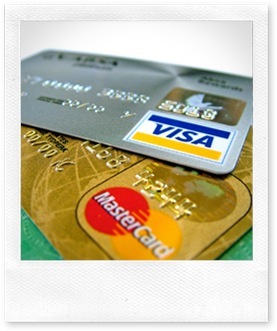 All bank spend so much money to acquired a new credit card customers. It’s definitely not wise by NOT getting a feedback on why their customer intend to cancel the credit card. It don’t hurt to ask! This entry was posted on Thursday, May 12th, 2011 at 2:52 am	and is filed under Credit Card. You can follow any responses to this entry through the RSS 2.0 feed. Both comments and pings are currently closed. hi alan, just curious but which credit card did u decided to keep?